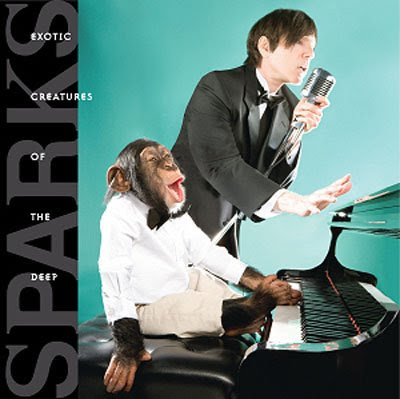 'Exotic Creatures of the Deep' is the twenty-first album by Sparks which is going to be released on May, 19th. It is to be preceded by the single "Good Morning" on May, 12th 2008. The album is to be promoted by a record-setting twenty-one date residency from May 16 to June 13 at London's Carling Islington Academy. The group plan to play each one of their twenty-one albums. 'Exotic Creatures Of The Deep' will be premiered on the final night at London's Shepherd's Bush Empire.